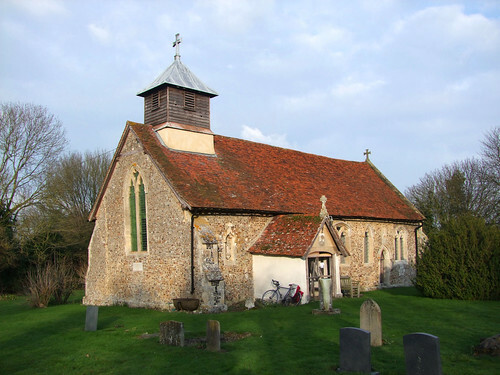 A sweet little Essex church in a field beside the Hall, about a mile from its village. A hard track runs up to the Hall which you can take (I did) or there is a footpath from the village. It wasn't clear to me if the church was still in use - there were a few notices, but nothing current. I suspect it is not used in winter. It didn't look interesting inside - all the windows are clear, so you can see inside. A bog standard restoration of the 1870s I should think. And again, ecclesiological junk set in the outer walls, because Ovington was under the same Rector and his wife as Tilbury. Despite being locked no keyholder, I quite liked it really. I'd like to see it again in sunshine. I'm not really that bothered about getting inside.